God’s own country, Kerala is reeling under heavy rain and many parts are submerged in flood waters. Gates of many dams are opened, electricity is cut to prevent mass casualties. People are stuck and stranded in their homes and relief camps. Nearly 900,000 people are residing in these relief camps. Death toll has already reached to 400 and thousands of crores of properties already damaged. Even as water recedes from major areas and authorities preparing to deal with a possible outbreak of water-borne and air-borne diseases, the rehabilitation of the flood victims in Kerala is going to be mammoth. The bigger concern however, now is lack of clean drinking water and diseases due to mosquito infestation, especially in Kochi and Thiruvananthapuram. 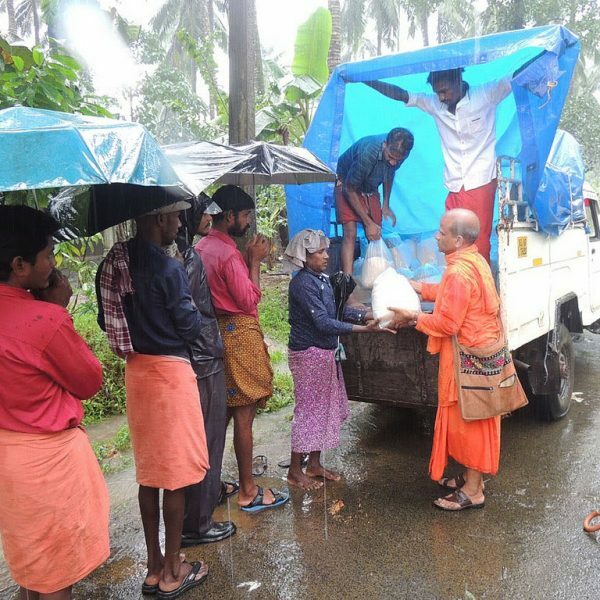 Victims of Kerala flood are in need of medicines, food, clothes, sleeping bags. The situation has been getting from bad to worse in most places with lack of food and transport multiplying the adversity. iCharity is collecting donation of Rs 1000 per unit of rehabilitation material. You can choose 1,2,3,4,5 etc units and donate generously. There is a sense of urgency now as water has started receding. It will take months before life resumes normalcy. Your donation of Rs 1000 will help in getting relief materials like Tarapaulins (12*9 inch), Boiled Rice, Lungi, Sleeping bags, Medicines, Clean water etc.